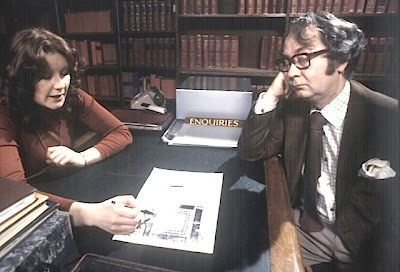 Patrick Dromgoole and HTV provided the ITV network with a portfolio of great children's drama from the mid-1970s through to the early 1980s. The Clifton House Mystery, a six part haunted house thriller, made in 1978, followed hot on the heels of an incredibly creative period of work, including Sky (1975), Children Of The Stones (1977) and King Of The Castle (1977). 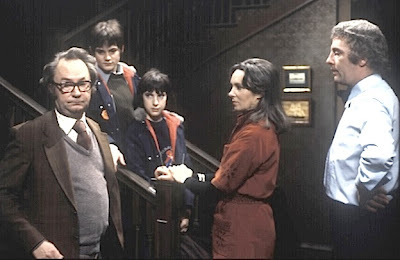 In comparison with the Bob Baker and Dave Martin penned Sky and King Of The Castle, this series, written by well known broadcaster Daniel Farson and Harry Moore, firmly re-establishes the tradition of children's drama set within the confines of a middle-class family whereas the latter two serials had conspicuously used working class male leads. There is therefore a cosiness in the serial that is absent from the Baker/Martin works and consequently it lacks the contemporary edginess and surreal qualities that made both Sky and King Of The Castle so memorable. 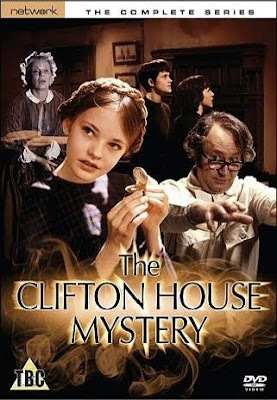 Even though it doesn't have their boldness, The Clifton House Mystery is a lovely example of children's fantasy drama that was written and produced with commitment and attention. With its tense atmosphere and slightly sensationalist horror, it was miles away from the soapier antics of Grange Hill on the other side . Whilst the serial may seem like a contemporary re-reading of Tom's Midnight Garden and its ilk, it does contain some fairly startling material even for 1978. There is a palpable sense here, possibly something that seasoned director Hugh David brings to the material, of a ghost story being used as a subtext to explore the way children deal with their adolescence as well as a discussion about imagination, intuition and creativity being a polar opposite to rationality and scepticism. Is it also too much of a stretch to see the historical background to the series, the Bristol riots that broke out after the voting Reform Bill failed in the House Of Lords in 1832 and the subsequent refusal of dragoon commander Thomas Brereton to fire on the rioters, both an expression of the adult world the children must eventually navigate as well as a comment on the equally growing discontent with Callaghan's 'Crisis? What crisis?' Labour government of 1978? This reference to real history, the burdens of the past and the present, is one of the strengths of the serial, adding weight to the story, even if it is crammed rather awkwardly into a scene with a librarian, Miss Protheroe, in Episode Five. The story concerns a concert pianist Timothy Clare (Sebastian Breaks), his wife Sheila (Ingrid Hafner) and daughter Jenny (Amanda Kirby) and two sons Steven (Joshua Le Touzel) and Ben (Robert Morgan) - moving into an old house in the Clifton area of Bristol they have just purchased from the elderly Mrs Betterton; the house having been in her family for generations. Timothy buys a picture of a dragoon on horseback and Steven a tarnished dragoon helmet from a sale of the house's contents. Mrs Betterton's grand-daughter Emily gives Jenny a music box. While exploring the garden, Timothy's two sons notice that the house has an extra window, and deduce that a hidden room may exist. After breaking through an upstairs wall and discovering an ancient dusty bedroom, a long-dead skeleton is found in the four-poster bed. Strange events start to occur, the music box summons the ghost of an old lady; a ghostly face appears under the helmet; Timothy is forced to play the tune of the music box on the piano. The music box, the helmet (and later a sword) all seem to be emblems that symbolise the bridge between the past and the present and between childhood and adulthood. After a disastrous dinner party in which their guests are subjected to blood dripping from the ceiling and various poltergeist activities, the two boys consult a ghost-hunter, Milton Guest (Peter Sallis). Guest is perhaps the living embodiment of the capacity to retain the child's ability to leap beyond logic, to accept that the world isn't built entirely on the rational and the concrete. The gothic impulse of the serial, symbolised by the cobwebbed covered secret room and its dead occupant, allows a safely controlled exploration of teenage sexuality, their own religious or metaphysical doubts that can be traced back in children's literature as far back as the 18th Century. The ghosts, the ghost-hunting and the historical background in the story act as a conduit for the viewing children to realise their own intellectual and emotional development and a sense of their own social responsibility. The history and the antique objects are there to remind them that their own progress is set against other, more morally discriminating eras of history. There's even an attempt at verisimilitude similar to Stephen Volk's Ghostwatch when in the final episode father and son are interviewed by HTV reporter Richard Wyatt (as himself) and the broadcast is interrupted by their ghostly neighbours. The young actors don't embarrass themselves and play their roles rather well, coming across believably and naturally. It's the adults that can't decide whether to ham it up or not and Sebastian Breaks lacks a bit of personality as Timothy, their father. Ingrid Hafner stays just the right side of hysteria but, similarly to Breaks, she often gives some rather wooden line readings. 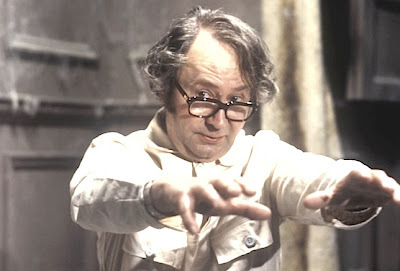 But these are very minor quibbles and with the arrival of Peter Sallis, enjoying himself thoroughly and imbuing the character of the ghost hunter Milton Guest with an endearing eccentricity, the final episodes really hit their stride. The serial shows an exorcism as the most natural thing in the world despite these scenes being a very rare occurrence in children's TV. 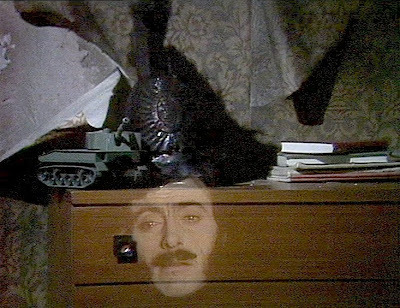 The sequence where Guest orders the restless spirits to depart is certainly a highlight, possibly even as good as anything more adult genre dramas attempted, matching perhaps the unease of Sapphire And Steel's first serial featuring many similar themes. It economically but effectively uses the sounds of gunfire, charging horses and screaming crowds with some basic video effects to create immense tension in the scene. It's handsomely produced on a low budget and well directed, maintains the high standard set by HTV and Dromgoole's team for studio bound children's drama, whilst offering us a slightly cosier treatment of the uncanny that, even so, is not without its chilling moments.